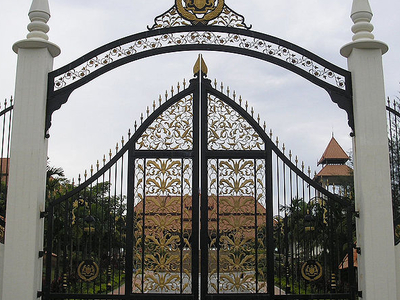 Istana Melawati is the second national palace of Malaysia's Yang di-Pertuan Agong in Putrajaya after the Istana Negara, Kuala Lumpur. 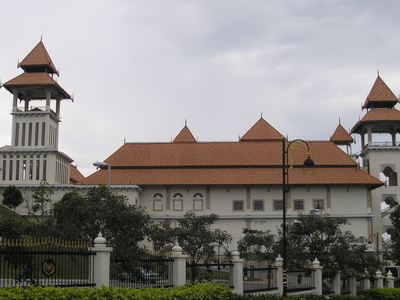 It serves as a royal retreat for the Yang di-Pertuan Agong.The Melawati Palace is located in Precinct 1, Putrajaya. Construction of the palace began in 1999 and was completed in 2002. It has a resort concept and serves as a retreat for the Yang di-Pertuan Agong. Melawati literally means guard’s tower. Three tall towers form a prominent structure at the side and centre of the palace. These towers represent old guard towers to be found in medieval Malay palaces. The 3 tiered roofs with intricate eaves details and clay 'buah butong' (appendages at the corners) provides an authentic attempt to replicate Malay traditional roof designs of the east coast. Inside the palace at the main staircase of the Meeting Wing, is a Melawati which is made from cengal wood topped with golden roof. Here's the our members favorite photos of "Key Buildings in Putrajaya". Upload your photo of Putrajaya Ministry of Finance!